Ormiston Denes Academy has been praised for taking effective action after being told it requires improvement by Ofsted. The academy received a monitoring visit on June 20 after a full inspection in April last year when it was given the rating in all four key areas, including outcomes for pupils and quality of teaching. 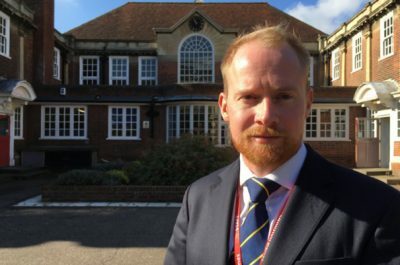 However in the latest report published on July 12, the inspector said the school has taken effective steps to secure improved provision for pupils. The report said: “Pupils’ achievement is now stronger than it was. Because of the actions you have taken to monitor, challenge and support teachers, the quality of teaching across the school is better than in the past. “You have a secure understanding of where teaching is strongest and of where it needs to develop further. You provide training for teachers and you are firm in upholding your high expectations of what happens in the classroom. The inspector said, however, that on occasions, when learning is not interesting enough, pupils do still become distracted, and there is still some inappropriate behaviour at breaktimes and lunchtimes. In order to become good, the inspector said the school should make sure that middle leaders use the skills and information they now have to strategically lead the work of teachers, ensure that teachers consistently understand and cater for the different needs of pupils, develop the teaching of literacy across the school and improve behaviour so that it is consistently good. Ben Driver, principal of Ormiston Denes Academy, said: “I am delighted that Ofsted has recognised the strength of the provision we offer at the academy, ensuring that all students receive the very best education and opportunities to succeed. This is as a result of our dedicated staff, hard-working students and supportive parents working together. The full report can be found on the Ofsted website. The photograph shows Principal Ben driver. Posted in Academy news on 17th July 2018.